Crowdsensing has the potential to support human-driven sensing and data collection at an unprecedented scale. While many organizers of data collection campaigns may have extensive domain knowledge, they do not necessarily have the skills required to develop robust software for crowdsensing. 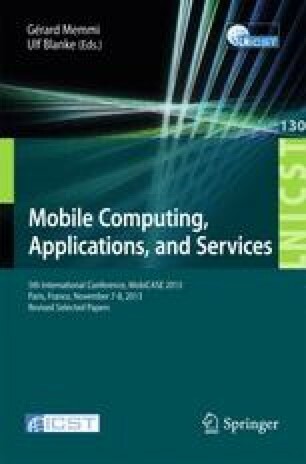 In this paper, we present Mobile Campaign Designer, a tool that simplifies the creation of mobile crowdsensing applications. Using Mobile Campaign Designer, an organizer is able to define parameters about their crowdsensing campaign, and the tool generates the source code and an executable for a tailored mobile application that embodies the current best practices in crowdsensing. An evaluation of the tool shows that users at all levels of technical expertise are capable of creating a crowdsensing application in an average of five minutes, and the generated applications are comparable in quality to existing crowdsensing applications.